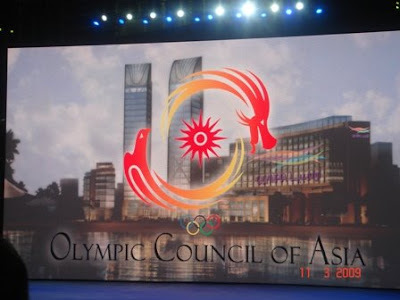 The 26 sports, including taekwondo, on the London Olympic program will be voted on in a bloc for the 2016 Olympic Games, the Association of Summer Olympic International Federations (ASOIF) has decided. 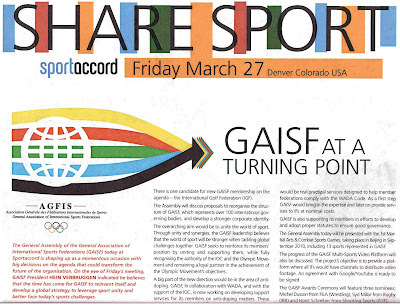 The decision was made at the ASOIF General Assembly in Denver, the United States on March 24, 2009, on the second day of the 2009 SportAccord conference. The SportAccord runs through March 27. Sir Philip Craven, president of the International Paralympic Committee, talks with WTF President Chungwon Choue and other WTF leaders at the WTF SportAccord booth in Denver, the United States on March 26, 2009. 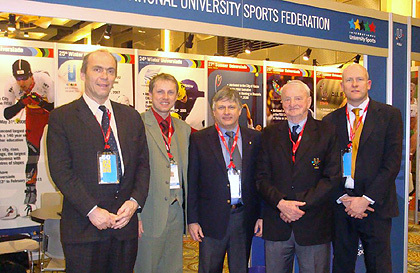 The WTF had a series of meetings with various organizations, including the International Paralympic Committee (IPC), the International University Sports Federation (FISU), and the International Mediterranean Games Committee (CIJM), on March 26, 2009 in Denver, the United States. 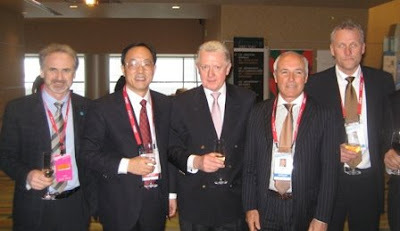 On the fourth day of the SportAccord 2009, WTF President Choue met with IPC President Sir. Philip Craven, FISU President Mr. George E. Killan, and CIJM President Mr. Amar Addadi in separate meetings to exchange opinions on how to cooperate with each other. In a meeting with the IPC president at the WTF SportAccord booth, President Choue explained the federation’s ongoing activities for the promotion and development of para-taekwondo, including its 1st WTF World Para-Taekwondo Championships to be held in Baku, Azerbaijan on June 10, 2009. President Choue extended an invitation to Sir Philip Craven for the inaugural event. Sir Philip Craven recognized the WTF efforts and emphasized the importance of the organization of at least two World Para-Taekwondo Championships with the participation of more than 25 countries from at least three continents before being staged at the 2016 Paralympic Games. Summer Universiade in Belgrade, Serbia, while seven sports were removed from the program. Dr. Ken Min, a WTF Council member, said that taekwondo is the first International Sports Federation which implemented the Continental University Taekwondo Championships by organizing the PanAm University Taekwondo Championships this year. In a meeting with CIJM President Amar Addadi, the WTF side explained to him its efforts for taekwondo’s inclusion in the 2013 Mediterranean Games to be held in Greece. 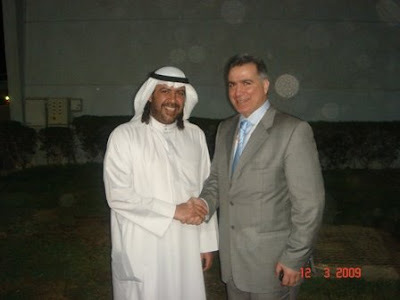 It also explained about the organization of the Mediterranean Taekwondo Cup Championships in May 2009 in Morocco. 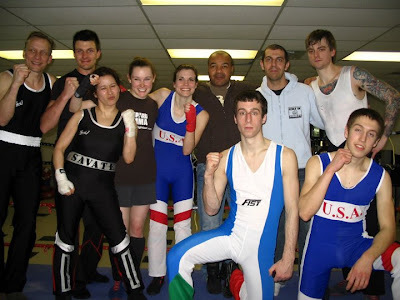 USA - Savate teacher - Silver Glove Assistant Monitor Boxe Francaise Savate under Professor Salem Assli. Weird training - but anyway - welcome to the CLUB. Team Borg and this year also Cedric Lapauw - Belgium. 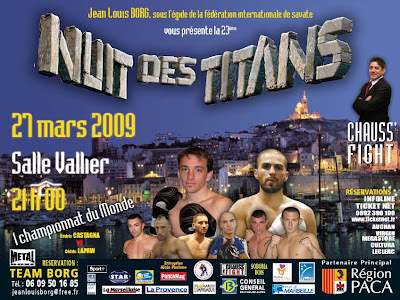 23th Night of titans - Nuit des Titans - CHAUSS'FIGHT - 27th MARCH 2009 - 21H Sport hall - VALLIER - MARSEILLE, France - 2 World Championships (return matches) & Supers Fights. Enoch Effach on stage. Denver Colorado, at the Sports Accord event a historic moment for “Martial Art & Combat Sports” took place. 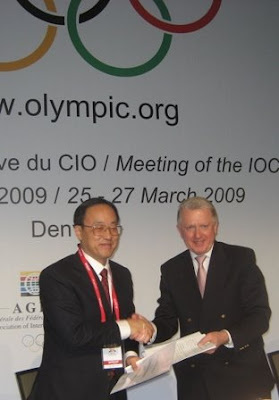 GAISF President Hein Verbruggen and Beijing Vice Mayor Liu Jingmin signed an agreement to host the first “Martial Art & Combat Sports Games” in Beijing, China in September 2010. Liu Jingmin, Beijing Vice Major, mentioned martial art sport is one of the oldest Sports in the world. In Beijing alone 500000 (five hundred thousand) are practicing one kind of martial art. The venues of this event are the Olympic facilities – The National Indoor Stadium, Beijing Collage Gymnasium, University of Science & Technology, Beijing Gymnasium and the Beijing Aeronautics University Stadium. 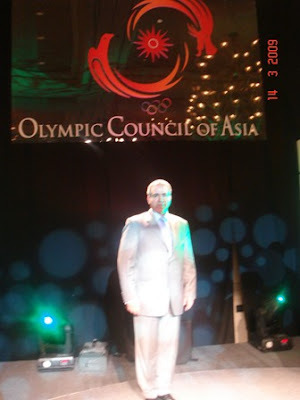 The Thai Cabinet together with the Olympic Council of Asia made an announcement during the 52nd OCA Executive Board Meeting in Bangkok for Thailand to host the 1st Asian Martial Art Games 2009 during 25 April - 3 May, 2009. 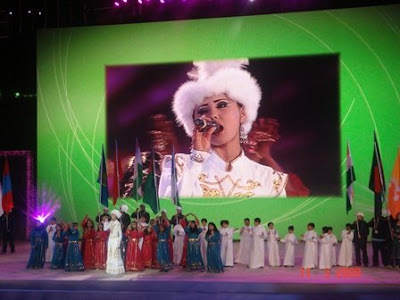 This Asian Martial Art Games is the latest games set up by the Olympic Council of Asia. In order for this event to be a success, a number of committees have been established in which the Tourism Authority of Thailand (TAT) has been appointed as the Committee for Public Relations. Being the first country to host the Asian Martial Art Games will also help promote Thailand’s image as a sports tourism destination to the world. 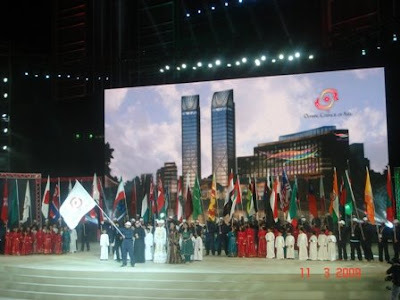 There will be approximately 2,500 people from 45 countries participating in these Games. The competition will take place in 4 different venues: Indoor Stadium Hua Mark Sports Authority of Thailand, Nimibutr Gymnasium Supachalasai National Stadium, Bangkok Youth Centre (Thai-Japanese) Stadium, and Sports School Suphan Buri province. However, the opening and closing ceremony will take place at the Indoor Stadium Hua Mark on 28 April and 3 May, respectively. Moreover, there will be 9 different kinds of sport over a 9-day period, which include Karatedo, Kickboxing, Muai, Wushu and Kungfu, Jujitsu, Pencak Silat, Judo, Taekwondo, and Kurash. 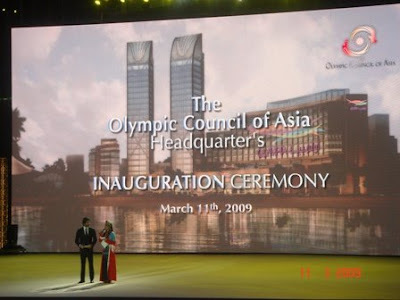 Further information on the details of the history, important information of the training, Games, and details of the stadium of the 1st Asian Martial Art Games 2009 will be posted on the Sports Authority of Thailand (SAT) or the official Olympic Council of Asia’s website. 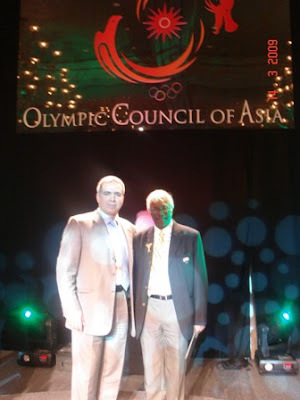 Mr. Nasser Nassiri, WAKO Vice President and President of WAKO Asian Continental Division was invited by Sheikh Ahmad Fahad Al-Sabah to attend the grand opening of OCA Headquarters on 11th March 2009, as well as the 1st OCA Sport Congress held from 12th – 14th of March 2009. Weird thing is that Savate federation Canada didn't announce nothing. The Lion’s Boxing Club of Montreal in collaboration with the Canadian Federation of Savate is organizing an international savate seminar. The seminar will take place from the 28th to 30th May 2009 in Montreal, at the Lions boxing club, 868 Beaumont. The seminar will finish with an international gala of savate, including fighters from: France, Belgium, the USA, Canada, Cameroon, Senegal, Japan and Tunisia. Look at an old Italian national savate FIST integral dress. Italians are there also? 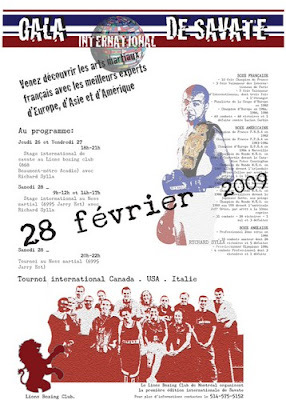 Was savate 2010 presented too? 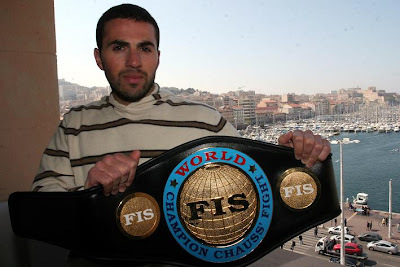 And why without FIS savate federation? It would be perfect combination. FISU President George Killian and members of the FISU Staff lead by Secretary-General/CEO Eric Saintrond are in Denver, Colorado, USA for the 7th edition of SportAccord. FISU is present at the SportAccord Conference with a promotional booth representing the different activities of FISU as well as the upcoming FISU events. Marc Vandenplas, Director for the Summer Universiade; Milan Augustin, Director for the Winter Universiade and Laurent Briel, Director for the World University Championships represent their departments to the delegates of the International Sport Federations visiting the FISU booth. Lots of new contacts are made and old ones strengthened. The agenda of the FISU President is quite full as a great number of IFS representatives want to meet with him. 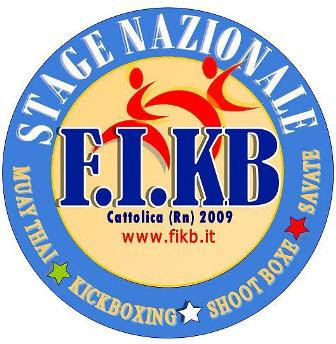 23th March - HKBS - Kickboxing federation Croatia (WAKO member) punished with 250.000 kunas (33.500 EUR). Ministry of finance Craotia punished HKBS, because of illegal practice (money transfer). Being punished, president and secretary of federation didn't inform about the case their members - kickboxing clubs. Problem about HKBS is becoming bigger and bigger and in Kutina - where these information are coming out they are optimistic about new relations in kikboxing sport in Croatia. We hope that savate in Croatia will become also more independent of kickboxing in these new times. Nico - "criterium". Shin kicks without using the right distance, poor variety of actions. And excellent judge - with the right timing of warning and using minus points in white (neutral) corner. 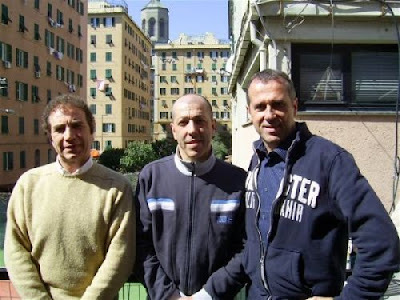 Alfredo Lallo with Marco Gilotti (Rome) and Luigi Ilengo(Genoa). Canne de Combat - Daniele Parrilli (Milan). 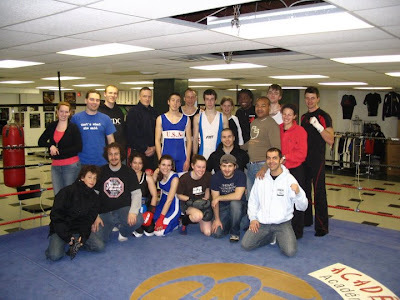 ... then you can speculate that most of these people KNOW EACH OTHER from kickboxing WAKO tournaments. Do you think that STARTING LISTS on FIS "small" combat World and European championships are part of this problem? ARE ALSO RESULTS AND FINAL MATCHES IN SAVATE PLANNED AND TACTICALLY PREPARED? WHEN number of competitors is smaller and categories with only few maybe even 3 fighters per category, then THIS PROCESS OF PLANING IS A VERY EASY THING TO DO. IF YOU COUNT ALSO JUDGES FROM SPECIFIC NATION COUNTRY IN THIS GAME, THEN VISIBILITY IN THESE MOODY WATERS BECOMES BETTER. 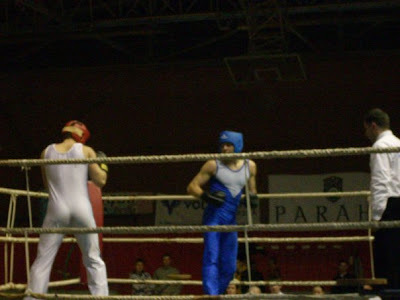 If somembody in this game called "SAVATE tournament" decides that he doesn't love specific management team of some specific national Savate federation and wants to change them with more suitable group, then he will try to contact his target group separately (without intervention of National savate federation) and make everything to arrange RESULTS in advance. It is not very difficult job. Just few phone calls and you have it. In this way kickboxers have calculated and sure SAVATE results every year in another discipline called savate - which brings them additional money for their other kickboxing activities. And if somewhere in the world - new and fresh savate team appears (which wants to train especially and only SAVATE) - THIS DIRTY TACTICS WILL CERTAINLY KILL IT IN A YEAR OR TWO. Or turn it into kickboxing group with the same behavior - hiding real kickboxing activity behind one or two savate tournaments per year. WE TALK ABOUT IMAGINARY SAVATE FEDERATIONS WHICH ACTUALLY DON'T EXIST. The old tactique of ITF taekwondo - fighters - when they competed in one of 3 ITF federations and later also in kickboxing WAKO (WKA or IAKSA) light contact was, that they took one or both results from very similar disciplines. If they didn't succeeded in the first they made it in other discipline. So you were always the winner. And important thing for the development of fighting sport is that you promote yourself as a world/european/regional champion. Most importnat role in this story are subventions. Yes MONEY. You are right. In smaller newly created post war countries (Serbia, Croatia...) it was not difficult to get subventions for savate from almost fresh Ministries of Sport or recognition from very Young Olympic Committees. 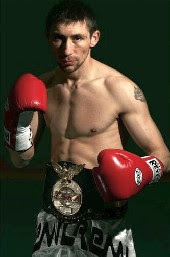 Mariusz Cieslinski from Poland (60 kg) club Fighter Wroclaw. 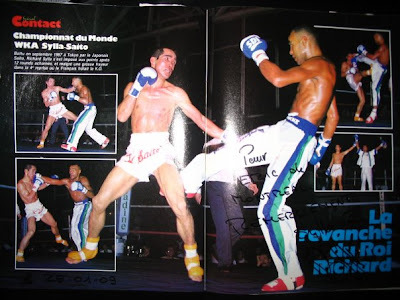 World champion in BF Savate - combat 1995. But actually Muay Thai fighter. There is no SAVATE federation in Poland. Kickboxing WAKO controls savate in this country. Polski Związek Kickboxingu (w skrócie PZKB), zwany dalej „Związkiem", jest ogólnokrajowym związkiem sportowym, o którym mowa w art. 7 ust. 1 ustawy o sporcie kwalifikowanym. 1. Związek działa na podstawie przepisów ustawy o sporcie kwalifikowanym (Dz. U. z 2005 r. Nr 155, poz. 1298 z późn.zm.) przepisów ustawy O kulturze fizycznej (Dz. U. z 2001 r. Nr 81, poz. 889 z późn. zm.) oraz ustawy Prawo o stowarzyszeniach (Dz. U. z 2001 r. Nr 79, poz. 855 z późn. zm. ), oraz niniejszego statutu i z tego tytułu posiada osobowość prawną. 2. W zakresie swej działalności Związek podlega nadzorowi ministra właściwego do spraw kultury fizycznej. 1. Związek może być członkiem krajowych i międzynarodowych organizacji sportowych. 2. W kontaktach międzynarodowych Związek używa nazwy Polish Kickboxing Federation. 1. Siedzibą Związku jest miasto stołeczne Warszawa. 2. Związek swoim działaniem obejmuje obszar Rzeczypospolitej Polskiej. Dla właściwego realizowania swoich celów Związek może prowadzić działalność poza granicami Rzeczypospolitej Polskiej. Związek działa w dyscyplinie kickboxing (wg regulaminów: semi-contact, light-contact, full-contact, low kick, boxe savate i muay-thai) i jest jedynym reprezentantem tej dyscypliny sportu w kraju i za granicą. Look description - SAVATE is Kickboxing discipline. As savateur - can you accept this? Let the women in tbe olympic boxing family! HA, HA, HA ... CRAZY - congratulations to Denmark. The Danish Stand at Sportaccord had a prominent visit. Tiffanie Hearn from the US-boxing amateur boxing association, came by to promote the message: let the women in tbe olympic boxing family! The AIBA World Series of Boxing (WSB) and women's boxing in the Olympic Games are two key projects which will revolutionise the world of international boxing according to the President of the International Boxing Association (AIBA) Dr. Ching-Kuo Wu. Dr. Wu, who was elected as AIBA President in 2006, has been proud to unveil the two new initiatives at the 2009 Sportaccord in Denver, USA, which runs until Friday. The World Series of Boxing will be launched in September 2010 while the inclusion of women's boxing in the Olympic Games is dependent on the IOC, which will make a decision on whether women's boxing will be included at the 2012 Olympic Games at its Congress in October 2009. "AIBA has made enormous progress in its effort to revolutionise the sport of boxing and the 2009 Sportaccord provides an excellent opportunity for AIBA to illustrate how this has been achieved while also highlighting some of its exciting initiatives. "Sportaccord is one of the best platforms amongst the sporting community for discussion and knowledge sharing and AIBA is looking forward to having the opportunity to not only participate but help promote some of the key AIBA projects - the World Series of Boxing, Women's Boxing - which are proving crucial to the world of boxing". The WSB will be the only professional series in which boxers will retain their Olympic eligibility and national federations will receive a return on their investment in boxers. AIBA's vision for the World Series of Boxing is to preserve the best of the new style of professional boxing while capitalizing on AIBA's strong boxing traditions to reunite the broader boxing world and its grassroots whilst providing a bridge between Olympic boxing and professional boxing. AIBA's proposal to the IOC includes the introduction of 40 female boxers across five weight categories - 47kg, 53kg, 60kg, 69kg and 75kg. How funny is FIS savate these days. They lost all imagination -"HOW TO BLUFF ITS MEMBERS". Come on to Serbia to join this huge event called combat savate - because AGFIS is watching us. There should be nearly 30 countries. Funny. Isn't AGFIS worried about licenses in savate, and many professional fighters circulating here and there without any control and medical and other passports? NO.... :). FIS says that AGFIS just want to have more than 30 countries. We started with affiliation to AGFIS 2009 with our smallest competition - combat. Crazy. And if we don't satisfy this (most corrupted and chaotic sport organization) what will happen? ...OF COURSE WE WILL NOT BE ACCEPTED IN AGFIS. And WAKO kickboxing and Kickboxing federation of Serbia and FIS savate - I mean all main actors will be satisfied. Their professional fighters will further circulate through all Europe gladiator ARENAS without any questions. And France will put all efforts in seeking new banana republics and new clubs to do savate occasionally. But there are many problems for French savate federation and FIS. 1st is trouble will start with EU sport commison and the 2nd with FISU savate acceptance of new non-AGFIS member. Will savate with new sport politics in EU and France and after Olympic congress in 2009 still live in Europe? Will savate survive? Every further stupid step of delaying AGFIS recognition is closer to savate death. And names of people pushing this critical steps will be written in savate history for many new generations. The old game known from the past will probably go on and on and on. Is this really well known and typical so called "French" behavior? IWUF Wu-Shu on Youth Olympic Games - Singapore 2010? IWUF President Mr. Yu Zaiqing visited Australia from March 5 to 6, 2009. 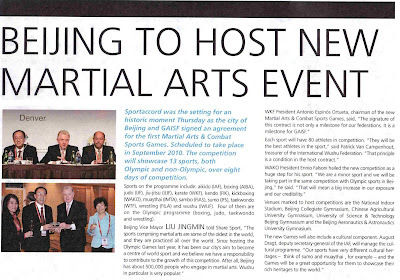 The Australian Kung-Fu (Wu-Shu) Federation applied to host the 11th World Wushu Championship to be held in 2011. The previous world wushu championships have been held in Asia, America and Europe, except Oceania. During his visit, Mr. Yu held talks with the President of the Australian Kung-Fu (Wu-Shu) Federation regarding this issue. They exchanged views on wushu development in Australia and the significance of organizing the world wushu championships in Oceania. Mr. Yu also inspected competition venue in the Sydney Olympic Park and received an interview from the media. Mr. Wang Xiaolin, Secretary General of the IWUF joined the visit. Approved by the 23rd IWUF Executive Committee meeting held in Bali in December 2008, the Singapore National Wushu Federation was granted the right to host the 3rd World Junior Wushu Championships to be held in 2010. Mr. Wang Xiaolin visited Singapore from March 8 to 10 and held talks with the leaders of the Singapore National Wushu Federation in this connection. 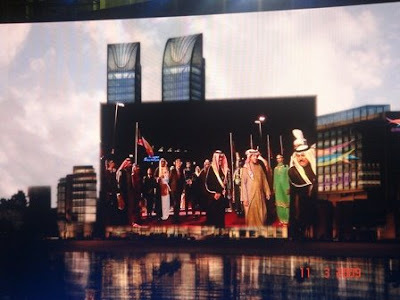 The Host City Contract was signed between the IWUF and the Singapore National Wushu Federation. During his visit, Mr. Wang Xiaolin held talks with the leaders of the Singapore Sports Council, Singapore National Olympic Council and Organizing Committee of the Singapore Youth Olympic Games to express the intention and explore the possibility of organizing the 3rd World Junior Wushu Championships during the Youth Olympic Games. 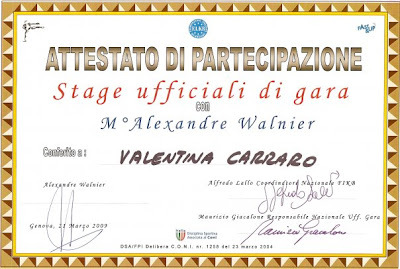 Belgium helps Italy with seminar instructors - judging. Luigi Ilengo from Andrea Doria club from Genoa, Italy donate his clubs facilities. Alfredo Lallo - FIKB responsible for savate. And Maurizio Giacalone. And of course - pupils. On the 20th and 21st March 2009, Alexander WALNIER, President of the FIS International Commission for Officials, returned to Milan and Genoa (Italy). The first training event of the F.I.S. took place in 1988 in Genoa and Milan... 21 years ago. 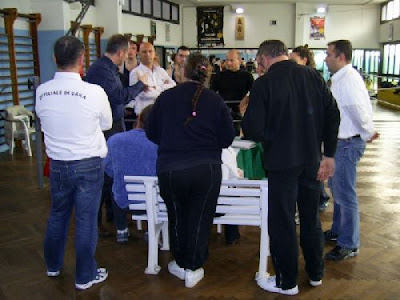 Many trainees attended the Salle Doria (the oldest Savate school in Italy), along with Mr. Alfredo LALLO (responsible for Savate in Italy), Mr. Luigi ILENGO Professor in Genoa) and Maurizio GIACALONE (responsible for the League). The atmosphere of the event was excellent. Questions were numerous and the exchanges were interesting. 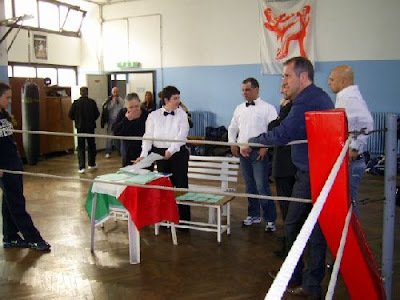 Italy is a nation with long-term involvement in Savate and the Italian leaders are knowledgeable about our discipline. Judge/Referee and Official Delegate of level "A"
And I ask myself - HOW THE HELL CAN LICENSES BE DELIVERED LIKE THIS? WHO IS WHO? DOES FIS HAVE SOME UNIVERSAL TECHNICAL BODIES (REFEREES, TRAINERS,...)? 7th MARCH 2009. No invitations - SOLO action. 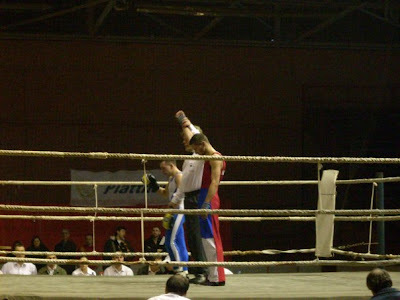 Sunday 15th of March 2009 in Sport hall “Madison”” in Zrenjanin, Vojvodina, Serbia there was Combat championship Serbia 2009 - seniors&juniors. 70 competitors from 20 clubs in Serbia. Organization in hands of club SK “Banat” from Zrenjanin. Most sucessful clubs: Savate club “Vojvodina” Novi Sad, SBK "Ruma", SK "Gym Tonic" Novi Sad and SK "Banat" Zrenjanin. Main chef: Miodrag Rakic from Rume and first judge Radenko Tadic from Novi Becej. -70kg: Sanja Tošić-”Ruma”Ruma : Jelena Kunić-”Galaktik” Sombor 5:0 disk 3.r. 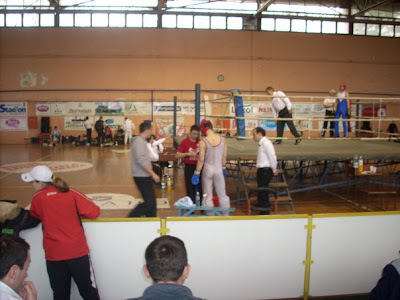 + 85kg: Sasa Cirovic - "Stara Pazova" St.Pazova : Davor Mrdja-”Galaktik” Sombor 5:0 STOP 1st round. WKA writes WAKO fighters on its RANK lists?